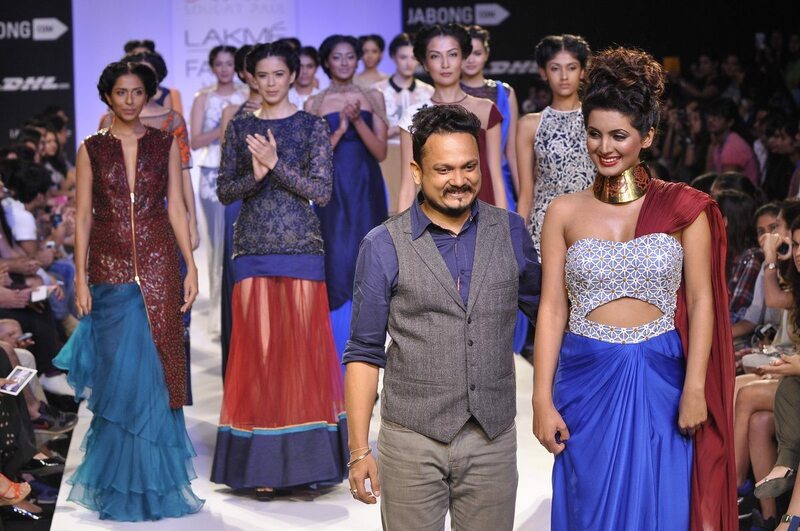 Geeta Basra electrifies in a blue Sougat Paul creation on day 5 of the LFW 2014. 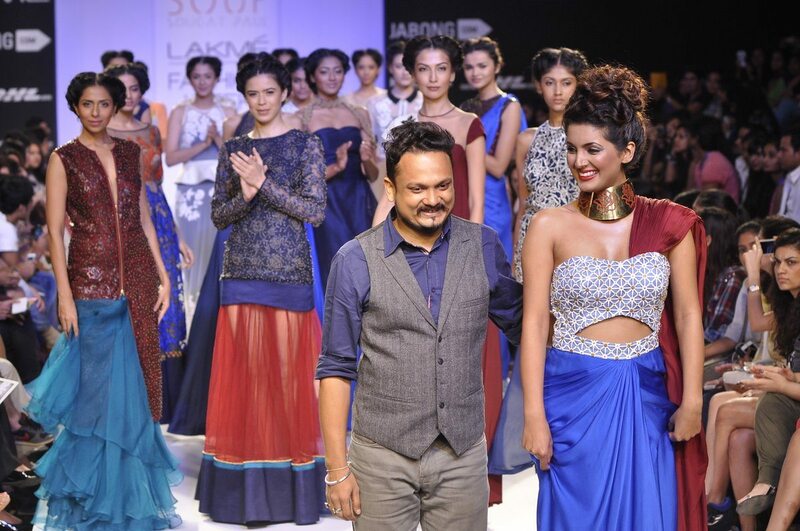 Bollywood starlet Geeta Basra turned show stopper for designer Sougat Paul at the Lakme Fashion Week Winter/Festive 2014 in Mumbai on August 23, 2014. 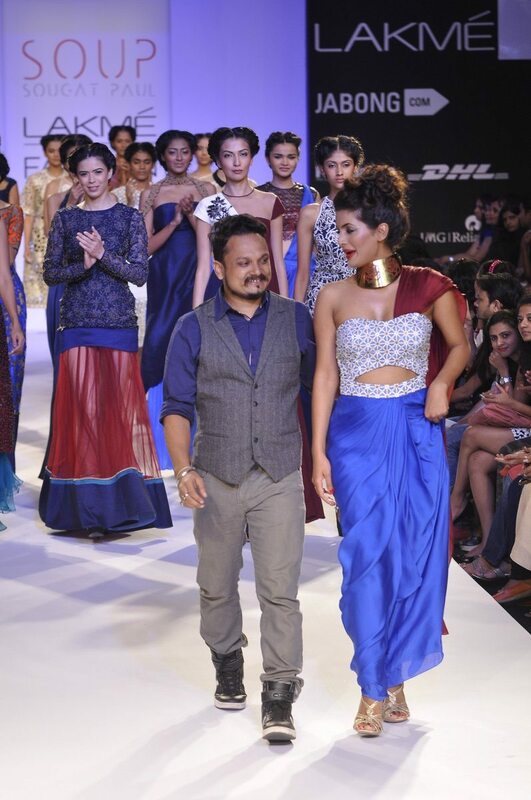 Basra oozed oomph on the ramp in an electric blue outfit, the chunky gold neckpiece was a complete stunner. 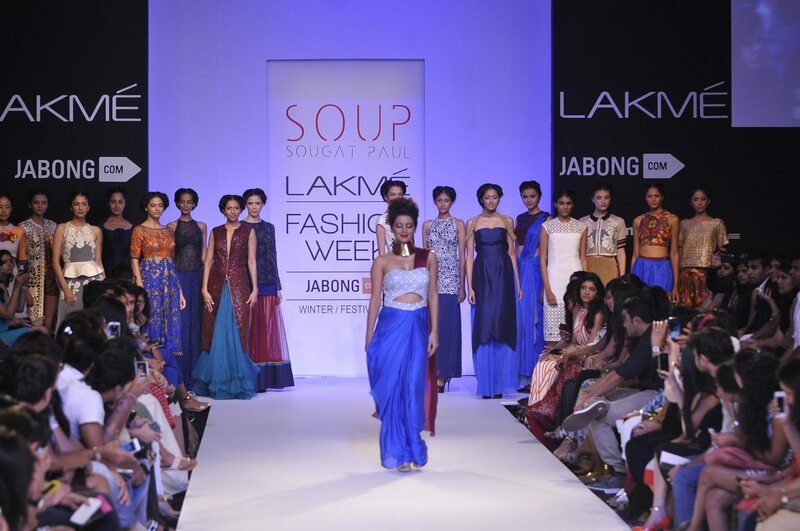 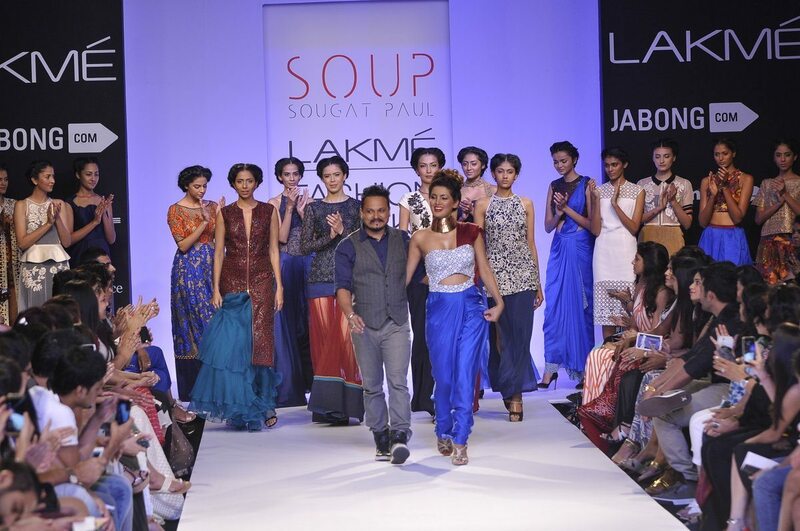 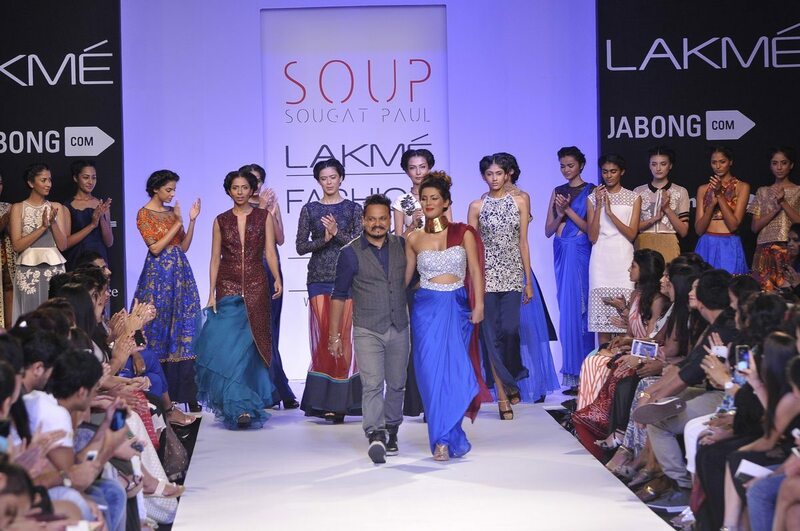 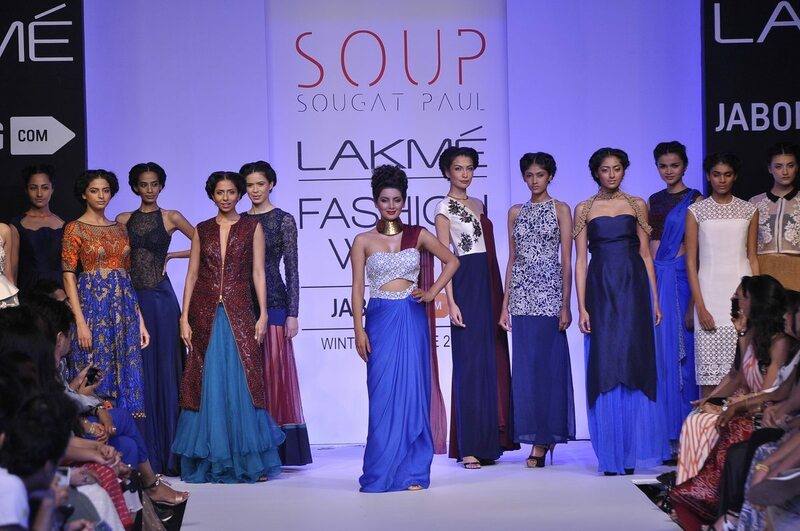 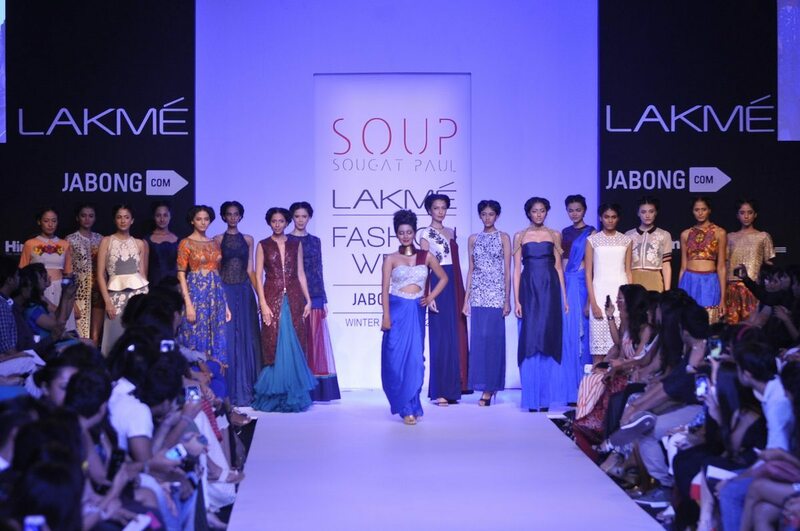 Couturier Paul showcased his collection ‘Soup’ on Day 5 of the bi annual event which concluded on August 24, 2014. 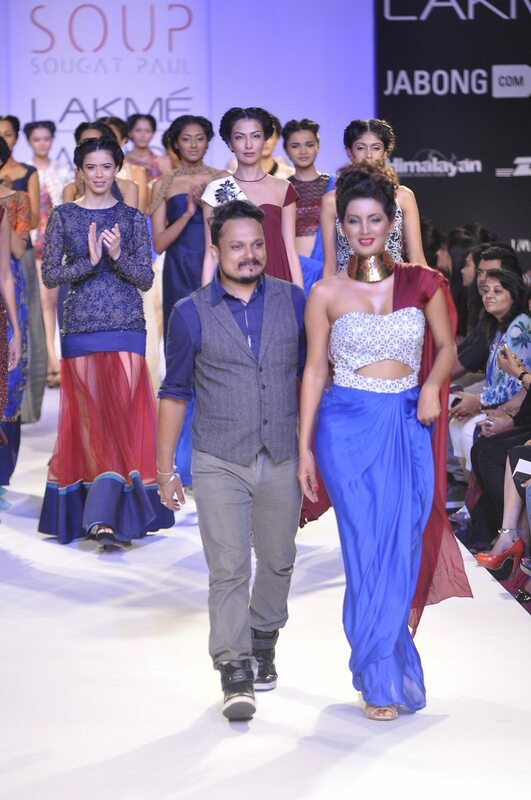 The entire collection was dominated by varied hues of blue, showstopper Basra’s ensemble also exuberated a cool azure blue feel. Geeta was recently in news for her relationship with Indian cricketer Harbhajan Singh, however, the two have constantly denied their rumoured relationship status.